Leading Manufacturer of pan mixer machine from Delhi. 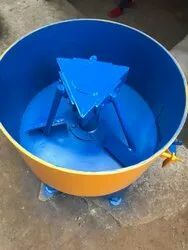 Urdhvaege Heavy Duty Semi Concrete Pan Mixer is used for availing ready mix. Our supreme quality pan mixer is manufactured using best in class raw material. Main used for mixing semi concrete, gravel, colors. Our pan mixer is highly efficient and easy to work with.